There’s a right old rumpus down at the Harp Surgery! 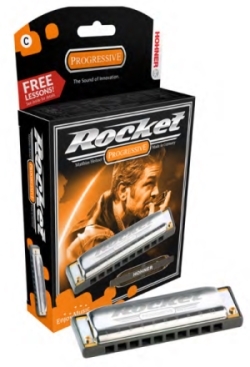 The Doc has taken delivery of his new Hohner Rocket and he’s been putting it through its paces. The verdict? 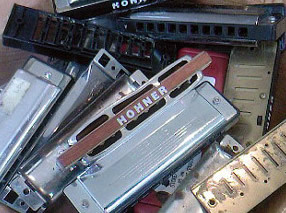 It’s everything Hohner claims it to be – comfortable, responsive and loud. If you’re considering investing in a Rocket, we say go for it, you’ll love it! It’s great for blues, rock and pretty much every contemporary style. And just to get us in the mood, here’s some Pocket Rocket from the Fab T-Birds..
For those of you looking for more information before you dive in and buy a Rocket, it’s time to grab your beverage of choice, turn the phone to silent, draw the blinds and enjoy a good graze through our analysis below. But just before we get going..
Otis, the Harp Surgery postman, stopped in this morning for a nice cup of tea and a sit down. He delivered a lovely letter from Mr Clive Langhorn who was the Harp Surgery’s very first student many years ago. 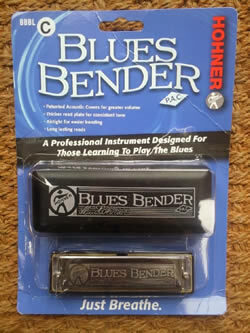 Clive is now a great blues harp specialist who performs around the South of England. He writes.. If you are ever in Las Vegas and have time on your hands, I strongly recommend you make your way to the Guitar Center at Town Square. This would-be European Altstadt has plenty of shops and restaurants where loved ones can relax while you lose yourself in an underworld of instruments and sound equipment. You will find everything from percussion, guitars and keyboards to amplifiers, DJ decks and PA systems. Walking into the Guitar Center is the musical equivalent of a trip to Willy Wonka’s.